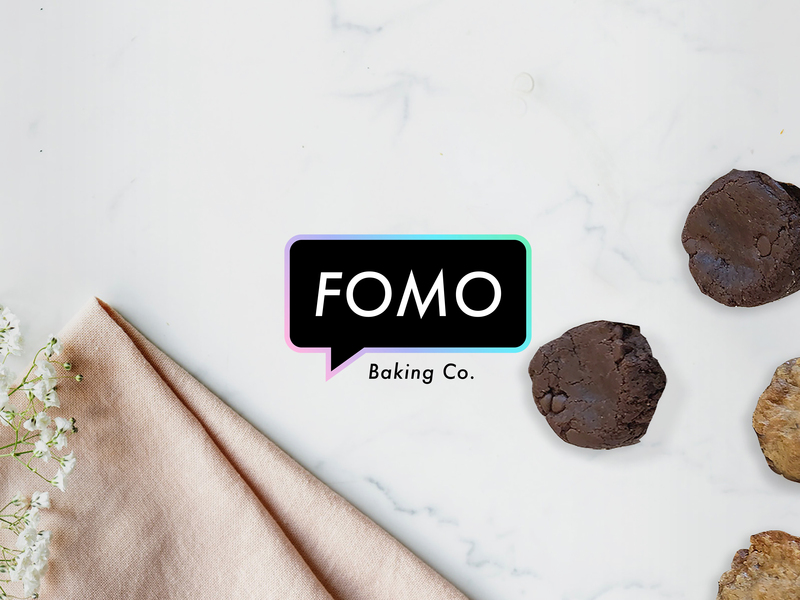 FOMO Baking Co. is a gluten free, egg free, dairy free, nut free and soy free company that bakes cookies that are (actually) delicious! The founders named the company FOMO because they experienced too many years filled with the "fear of missing out" about not getting to eat what everyone else eats. We had the task of branding this new venture to show that allergen-free foods don't have to be boring, they can be fun and exciting. Especially when it means people with dietary restrictions can finally enjoy treats too!